Video marketing is one of the fastest growing marketing strategies out there, and we know how difficult it can be to get started when you have zero video making knowledge. We’re here to help! In this post, we’ll cover video marketing stats, effective script writing, questions to ask before production, video editing tools, and ways to optimize your video for conversions. If you haven’t already, check out part one of our video marketing guide for dummies! In part one, we went over video-production equipment (best buys and brands), optimal video length, and different types of videos that you can create. It’s expected that by 2019, video will claim over 80% of all web traffic. If you add a video to your marketing emails, CTR jumps by 200-300%. Adding videos to your landing pages can increase conversion rates by 80%. For those selling products, 90% of customers use product videos to help them make a purchasing decision (and 64% are more likely to purchase a product after watching a video about it). Mobile video consumption has doubled every year. 87% of online marketers use video content as part of their digital marketing. People spend 1/3 of their online time watching videos. 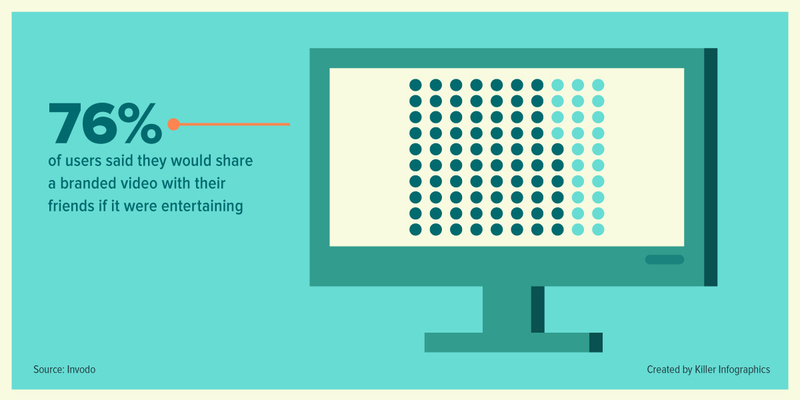 It’s estimated that 92% of people who consume mobile videos share them with other people. What these numbers show us is that video marketing is growing, mobile-friendly, rapidly consumed, and imperative to purchasing decisions. Videos can be used in e-newsletters, on company websites, within landing pages, and on social media. Success is about more than just creating a video though; You need videos that will accomplish your goals and are optimized for conversions. Search Engine Optimization is one of the most effective ways to draw traffic to your website, so it only makes sense that you would optimize your videos for search engines as well. Choose the video you want to embed. Toggle down to the bottom of the page. Click on the triangle to the right of the embedding link. Choose the option ‘Yes, external sites may embed and play this video’. Save and exit the screen. There are more technical SEO factors to consider as well. 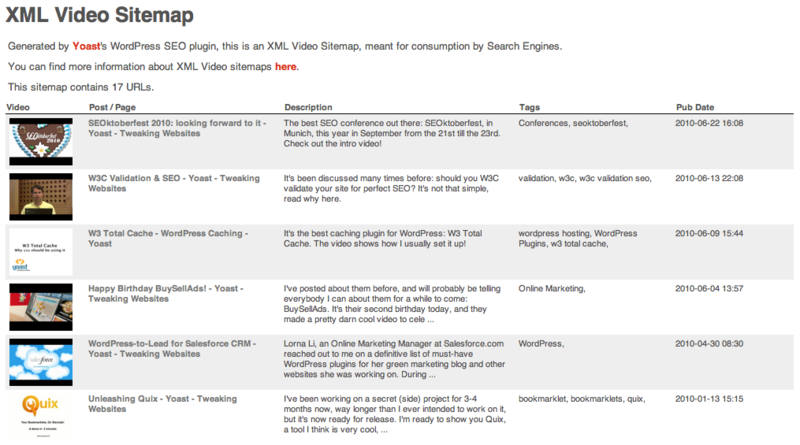 Sitemaps let Google know that you’ve added a new video to your website. Reference this article to create video sitemaps for Google. Descriptions are also an important part of optimization, since they make it onto the search engine result page and can contribute to CTR. Descriptions also give Google’s search spiders a sense of what your video is about. Within your descriptions, include relevant keywords and a full explanation of what the video will be covering. Waiting until the end to pop the call to action is a no-no. You can’t expect viewers to watch the entirety of your video, so add in a clickable annotation in the first few seconds of the video. You can find instructions here. If you do include a call to action at the of the video, add in a tracked URL to see how many conversions are coming from your video. For those hosting their videos on Vimeo, you have extra capabilities with Plus, PRO and business accounts. For one, you can choose to show or hide the ‘Share’, ‘Like’, and ‘Watch Later’ buttons. You can also choose whether to show the Vimeo logo, play bar, volume control and full screen buttons. You’ll be able to pick which sites the video can appear on and what gets displayed after the video finishes playing. If you want to limit sharing, you can disable embedding altogether. This ensures people have to come to YOUR website or channel to see the video. This ensures your video looks good on any device, and it’s easy to add into any WordPress website. You can also check out this article for CSS coding. Before creating a video, you need to determine who, why, where, when and how much. This information can be compiled into a presentation or proposal that you can bring to your marketing head or board meeting. You should also include this information in a document that is shared by the whole team to make sure no one goes over budget or loses sight of the campaign goals. Ask who your target audience is and how your video will appeal to them. This may not be your entire brand audience, but rather a segment. So instead of targeting Walmart’s entire customer base, they may target new mothers with a video on baby supplies. Knowing your audience helps you determine how serious you need to be, whether to use animation or live-action, and what type of video to make (see part one). Ask yourself what the goal of the video is. Do you want to raise brand awareness? Or increase the sales of your clearance stock? You can’t create an effective video without first determining what you want it to accomplish. You can use Key Performance Indicators (KPIs) to create a measurable values that demonstrates how effective your video is in accomplishing objectives. Know where you’re going to host the video (your website, Wistia, Vimeo, YouTube). Each of these platforms has a different audience. While YouTube definitely has the most diverse (and expansive) viewership, Wistia caters more toward B2B. Vimeo is in between, though their platform offers more simplicity than YouTube’s cluttered interface. Plus, Vimeo has much fewer ads than YouTube. You can upload videos to all of these platforms, but we recommend hosting it on your website to draw in extra traffic and shorten the conversion funnel. Know what your timeframe is going to be. You’ll want to set a deadline for the script, filming, and editing. Do you want to produce a Christmas video in time for the holidays? Do you need to have proof of your video marketing effectiveness for a board meeting at the end of the quarter? Give yourself plenty of time for each of these phases and set realistic goals for yourself. Ask yourself how much of your budget you can allocate to video marketing. In part one of this guide, we covered equipment expenses. Cameras can cost in the thousands, and mic equipment costs a pretty penny. That’s not to mention video editing software and talent costs. Test with a smaller budget at first to see how much ROI you get out of it. If you want to be thrifty, use your iPhone to film and the free editing software that comes with Apple devices (iMovie). So many movies and TV shows have been ruined by a crappy script. The actors are great, the story is intriguing and the visuals are gorgeous. What makes the film cringe-worthy are the stiff and unrealistic things being said on screen. We’re here to make sure that doesn’t happen to you. First off, you’ll want to create an outline for your script. Do your drafting in Google Docs to make it easier for other writers and editors to collaborate on the project. This will also ensure you don’t accidentally delete it from your computer. 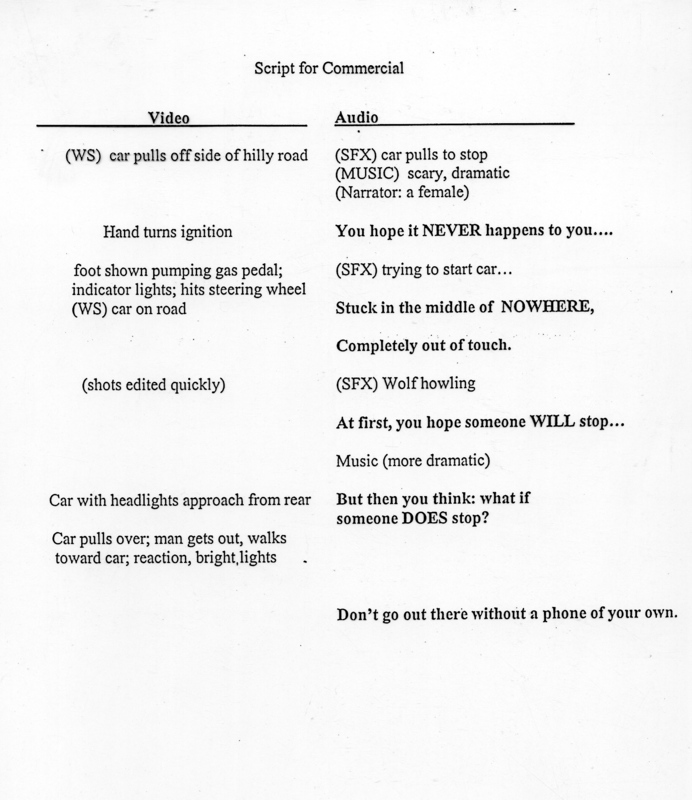 Divide the page into two columns to match up what’s happening on screen with what’s being said either by the actor or through a voice-over. If you’re creating an educational video, do your research and double check your facts. As far as language goes, keep things relaxed, clear and conversational. Big words and complex sentences only serve to confuse your audience and make you sound pompous. Depending on your target audience, you may be able to use some vocabulary that isn’t common knowledge (ie: Using ‘SERP’ in a video geared toward SEO Specialists). If you’re featuring a celebrity or industry leader in your video (influencer marketing! ), make sure the script aligns with their essence. Otherwise, it won’t be believable coming from them. For example, Kanye West would never say ‘hey, folks!’. Since you want to keep your video under 10 minutes, you can use this script timer to estimate how long the video will be based on the number of words in your script. This doesn’t account for music interludes or shots without lines, however. 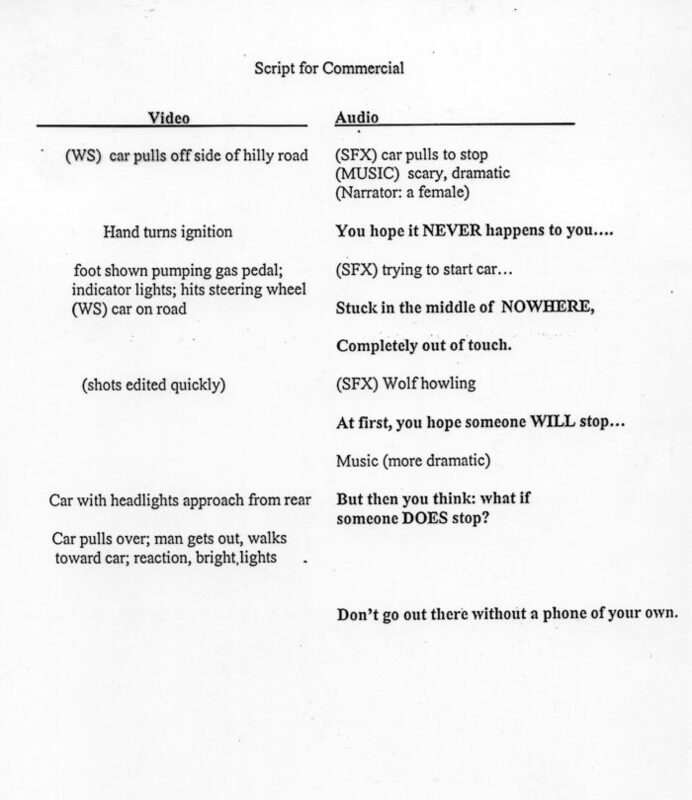 A 350-word script equates to a two-minute video, so use this as a benchmark for your own script. You can cut out parts of your scrip that are included in the transcript with further information. After you’ve worked out the kinks and flow in the table read, your script is ready to go! If this is a video about your company that will go on the website, make sure you have approval from higher-ups as well. They may be a bit picker about what can and can’t be said. Once you have all the footage you need, the editing phase comes in. For most companies, you’ll just need tools that allow you to add filters, seamlessly integrate your B-roll, add in music/voice-overs and throw in some cool transitions. Adobe Premiere Pro works for novices and professional alike. With this editing tool, you can customize your interface for easy access to the tools you use the most. Not only has it been used to edit major motion pictures (like Gone Girl), but it’s also the perfect choice for collaboration. You can sync with related programs like After Effects and Photoshop. You’ll be able to go beyond 4K footage, employ advanced color correction, and utilize grading tools that can’t be matched. For a year-long subscription, you’ll be forking up $240, so experiment with a cheaper option like Adobe Premiere Elements if you’re just starting out. You can find plenty of tutorials on YouTube, so don’t be scared to try out something new! For those wanting to do video editing from their phone, Adobe Premier Clip is a great tool for those on the move. Features aren’t quite as advanced as those available on the desktop version, but you’re still able to create, edit, and share videos quickly. You’ll be able to choose from two editing styles: automatic editing and freedom editing. Automatic editing generates a clip based on the uploaded video, giving you the ability to customize the pace of the video, music, and clip order. 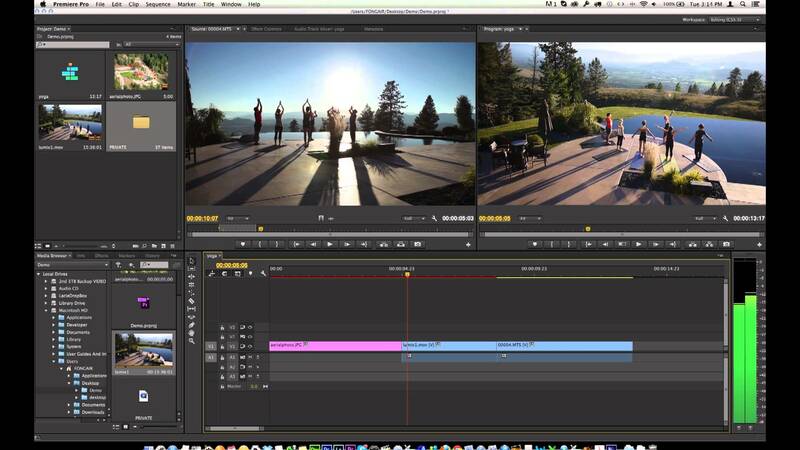 Freedom editing lets you sequence the clip and edit everything manually. You can add in music from your library, but keep in mind that your music may not coincide with YouTube’s copyright rules. However, you can easily share the video with the app’s community. With a $0 price tag, you can’t do much better for phone editing tools. Available on Google Play and the App Store, Quik is a video editing software created by GoPro. Download up to 200 images, film and music to create a video that you can take pride in. Unlike other programs, they offer auto-sync music and automatically analyze the images and footage you submit to showcase the best moments (this can also be done manually). Add in text with a variety of fonts to choose from, emojis that enhance the social factor, and slide titles. Easily trim and record clips from your phone, then share your video via social channels, text, or email. There’s also a desktop version available if you prefer a bigger screen but enjoy the system. For a full list of video editing apps that you can use right from your smartphone, check out this blog post from Ad Espresso. If you’ve read through part one and two of our video marketing guide, you’re ready to go! Remember to give credit for any borrowed content used in your video (ie: music) and share on ALL your social platforms. We know this guide is extensive, so we’ve included a checklist to make things easier. We’ll see you at the Oscars!